Product categories of Other Pumps, we are specialized manufacturers from China, Submersible Sewage Slurry Pump, NP-QJ Deep Well Pump suppliers/factory, wholesale high-quality products of NP-ISW End Suction Pump R & D and manufacturing, we have the perfect after-sales service and technical support. Look forward to your cooperation! Besides Slurry pumps, Shijiazhuang Naipu pump Co.,ltd also sell Other Pumps, such as NP-WQsubmersible sewage Slurry Pump, NP-IS clean water pumps, NP-QJ deep well pumps and NP-ISW End Suction Pump,etc. WQ Submersible Sewage Slurry Pump is one subermerisble pumps,is one type Horizontal Pump for clean water. 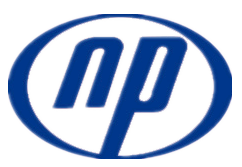 Shijiazhuang Naipu pump Co.,ltd, with more than 20 years' experiences in slurry pumps and parts, we can produce many type of pumps, welcome to contact with us.